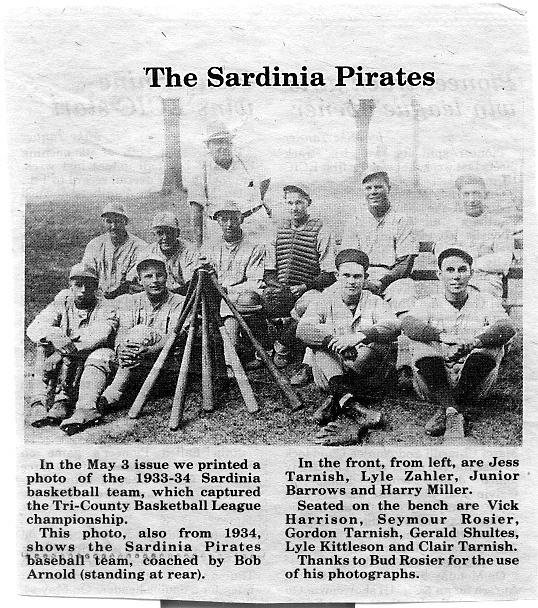 Photograph of the 1933-1934 Sardinia Pirates baseball team. Front Row: Jess Tharnish, Lyle Zahler, Junior Barrows and Harry Miller. 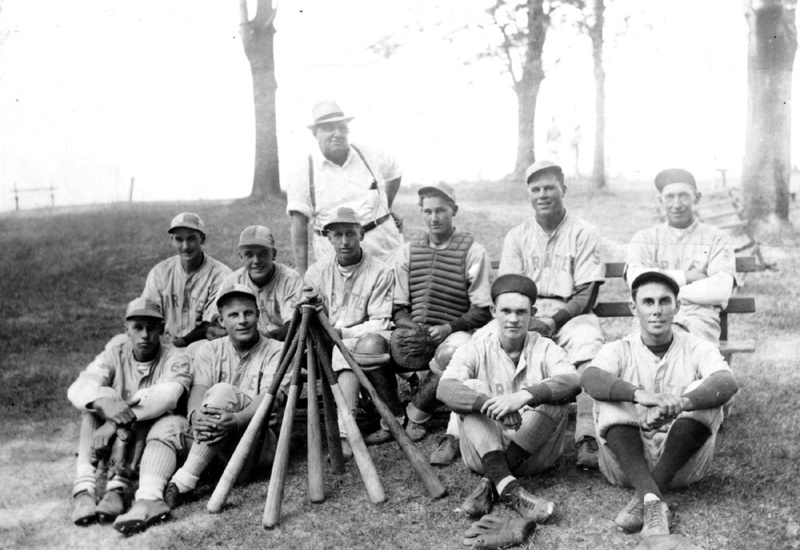 Back Row: Vick Harrison, Hayden Rosier, Gordon Tharnish, Gerald Shultes, Lyle Kettleson and Clare Tharnish (Coach). Standing: Bob Arnold (Saloon Keeper and Sponsor).